If you are tired of the noises and the tirement of the city life; OsKo Pension is the best place for you to refresh and relax. You will not only have a good holiday with us. You will also able to have delicious meals, wonderfull seas to swim and lovely sun for sunbathing, perfect places for sightseeing and many other unforgetable activities to make everything more than just a holiday. 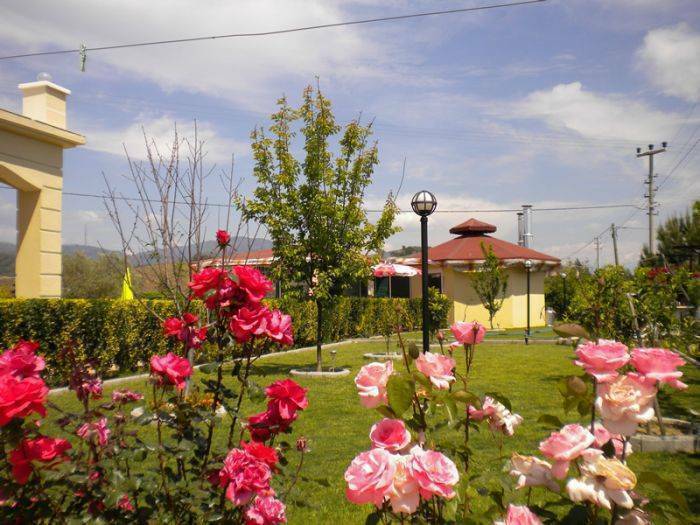 Our pension has 2 blocks includes 6 bedrooms per and it is all surrounded by grass garden. 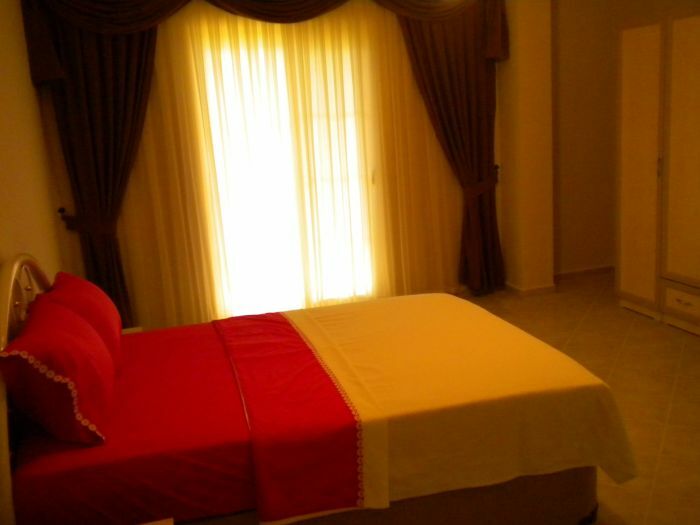 Every block has own swimming pools and 5 bedrooms. You will be able to have meals from our own restourant and use our free parking place if you need. During your holiday all of the meals that you will have will be home-made and daily. All of the vegetables and fruits are taken from our nearby farmers and brought to you. We are only 15 minutes away to beach by walking and 2-3 minutes by car. Dalaman airport is 40 km, the world famous Göcek Bay is 27 km and one of the most impressive places of the world Ölüdeniz Beach is just 23 km away from us. OsKo Pension is on service all year. You will have lovely breakfasts, delicious lunches and perfect dinners ( home-made meals and grill menues ). If you would like to have gorgeus time and make your holiday " more than a holiday " we are waiting for you ! We also have a hobby garden where we grow some of the vegetables and fruits which are on their own season time. It will be an interesting expretiment both for you and your children. The eggs that we serve you at breakfasts and use in meals are completaley our own goods. You can also see and view our village chickens which are giving you daily eggs. What about the rest of the goods that we use in meals ? We all get them from nearby farmers and serve them to you. Get ready for a holiday which is full of healthy and delicious home-made meals ! You will be able to get control over your children easily. 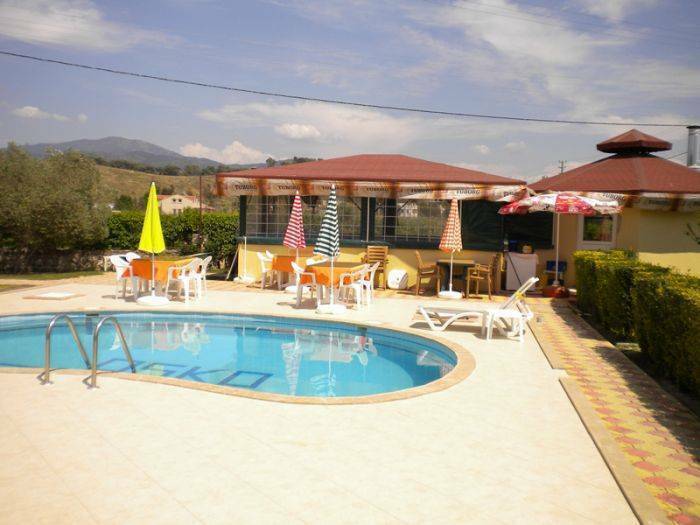 We have two swimmingpools - one for per block - ; you can be with your children while you are at your room, in restourant or having rest in garden... Lots of cool and comfortable shadow resting parts will let sun to be with you just when you wanted to ! br Also, night breeze is a fantastic thing while you are having fun with your family or friends... By the advantage of being close to the sea you can both have fun in our pools or enjoy with the sandy beach. 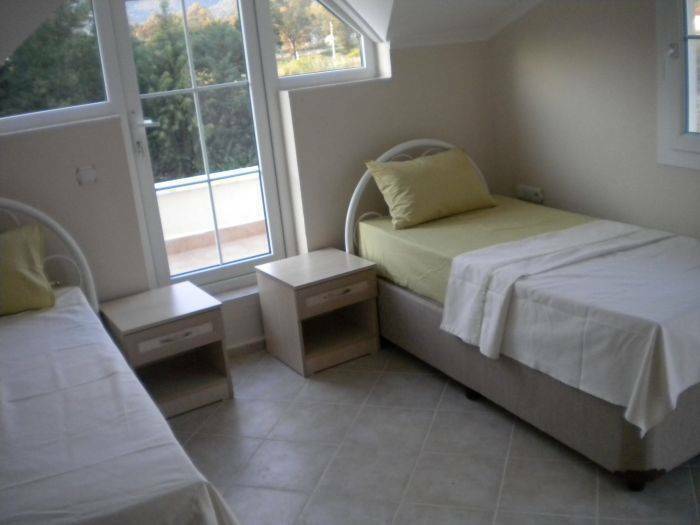 Osko Pension is also on a point where you can reach nearby bays and world famous places to see. 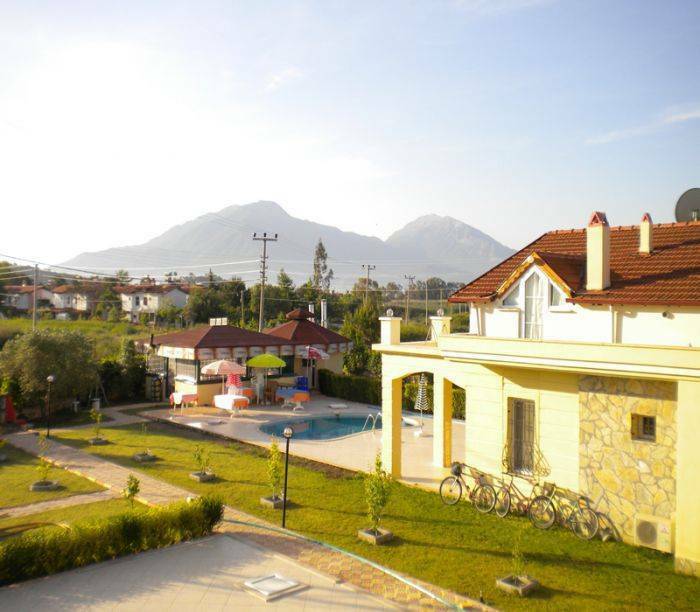 Your holiday will not be limited with Fethiye. You will able to reach Göcek, Ölüdeniz and other fantastic places easily ! Every room has own bathroom and balkony. They are all air-conditionered rooms. Close to the sea and beach. Staying for 8 nights gives you 7 nights cost !